One of the best nitro races on the east coast, the 2018 Fall Brawl is always jammed pack with awesome competition, killer layout, and a truly fun atmosphere. As fun as the track was … everything was just about perfect, unfortunately, mother nature is going to win any outdoor war and halfway through qualifying, the rain came and continued into the next day washing away the weekend of racing. 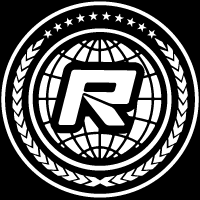 However, with almost two rounds in the books, the race was called and awards were given based on the qualifying action that took place. 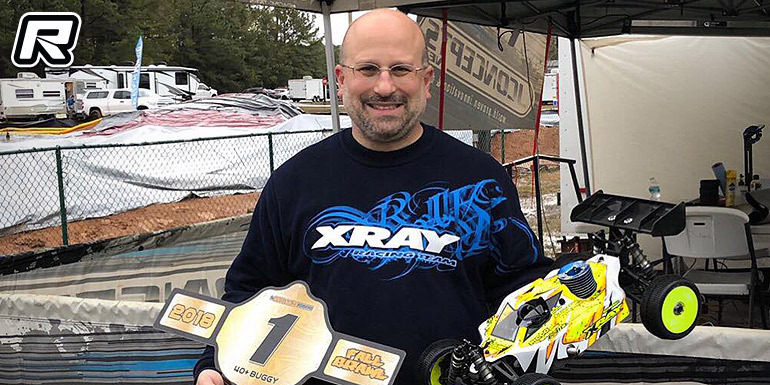 After a disappointing result from the 2018 IFMAR World Championships in Perth, Australia, Spencer Rivkin wanted a bit of redemption in the Pro Nitro Buggy class. Back into 1/8th scale mode, Spencer made the trip from Surprise, Arizona to his first ever Fall Brawl experience and loved it. Badlands is definitely a track suited to Spencer’s driving style and we saw him really distance himself from his competition in quals 1 and 2. 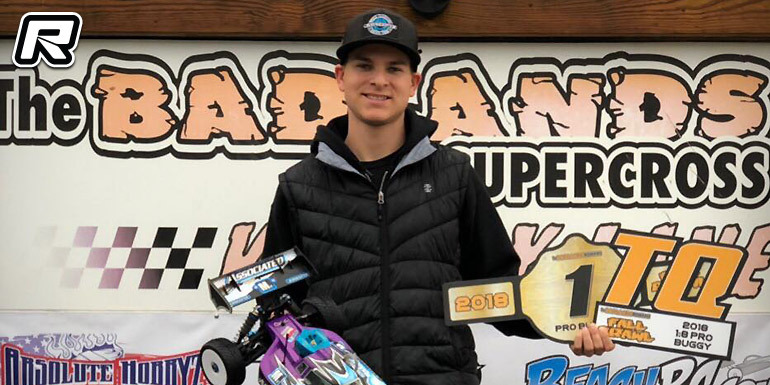 As the only Pro Nitro driver to turn 12 laps in qualifying, Spencer grabbed two TQs before the rain came and was awarded 1st place once the race was called. 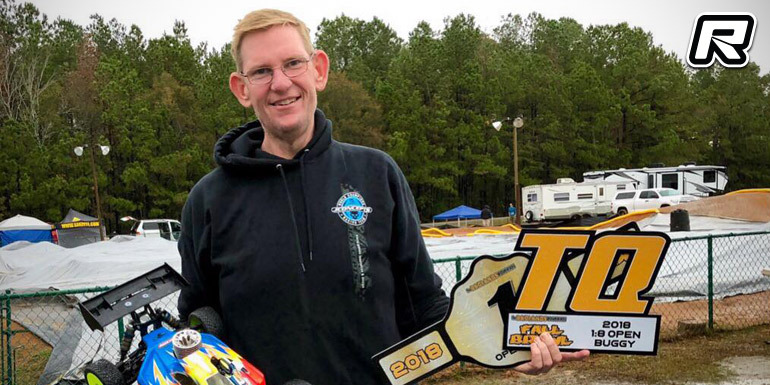 It’s been a while to see Jeff Keeton on the top step of the podium and showing some great speed in the Open Nitro class, Jeff was able to TQ the 2nd qualifier giving him the overall TQ until the rain hit. With that killer result, Jeff was happy he took the win. Having just announced his departure from Serpent, now one was exactly sure when they were going to see Paul Ciccarello next. Fortunately, it was sooner rather than later and Paul hasn’t changed one bit. He still loves being at the track and still loves racing. Excited to get rolling with his new cars, Paul quickly jumped into his 40+ class right where he left off. 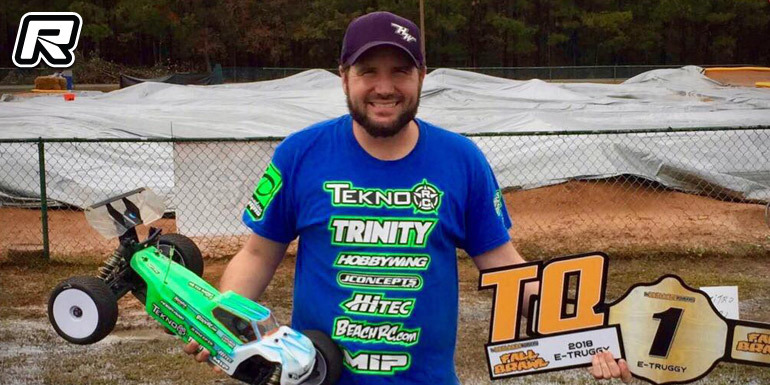 With a TQ effort in round 2, Paul got the overall TQ and was awarded 1st place once the rain came. Some call him a Truggy expert, Patrick Rossiter Jr., is always down for a good ol’ truggy battle. Having to manage the event with RD duties and racing, PRJ was still able to get the job done in qualifying with a TQ effort and with the rain cancellation, Patrick took home the win in E-Truggy.